Ride the MTB evolution. 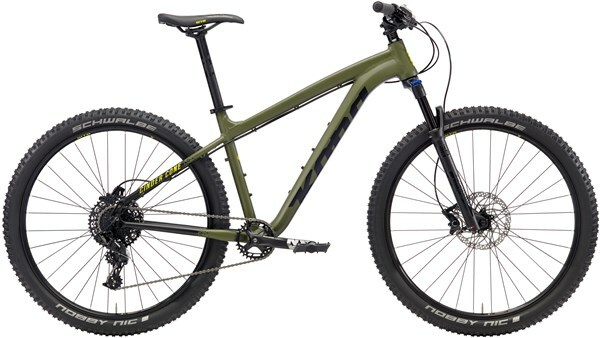 The Kona Cinder Cone is a hardtail mountain bike that combines the spirit of the earliest MTBs with all the improved capabilities of a modern cross country machine. Lightweight, stiff and strong the Superlight 7046 aluminium frame features dialled XC trail geometry for a confident and efficient riding position. The tapered head tube adds front end stiffness for more confident steering control. The RockShox 30 Gold RL fork gives you 100mm of plush suspension control through the lightweight Solo Air spring. The full SRAM NX 1x11 speed drivetrain delivers slick shifting with a wide range of gears for taking on varied terrain. The narrow/wide chainring and clutch mech give you secure running even on the roughest trails. When gravity takes over the Shimano hydraulic disc brakes give you confident stopping power in all-conditions. 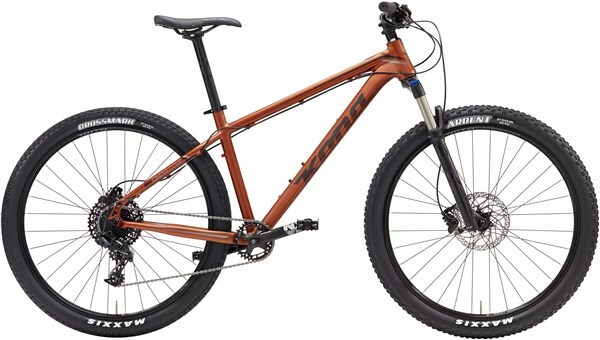 27.5” wheels give you the ideal balance between rapid rolling and nimble handling. Have more fun on your MTB trail adventures with the Kona Cinder Cone.